The doubts that the gram panchayat elections will be held on time are expressed in respective officials. Panchayati Raj Department and State Election Commission should make arrangements for the Panchayat Election. The first wave should be set up as soon as the Panchayati Raju new law comes into force. At present there are 12,751 panchayats, the total number of ST panchayats is 1326, the panchayats in the agency are 1311 and the other panchayats are 10,114. According to the new law, there are five wards in 300 panchayats, 300 to 500. After completion of this, the biscuits should be calculated by the panchayats and wards. Officials have said that it may take at least a month to complete the project. After that, the Panchayats and Ward Reservations will be finalized. This is going to be at least another fortnight. After the announcement, the deadline for submission of objections will be expired for a week. The final list of reservations will be finalized. Division of wards, these lists are sent to the electoral community. When they reach the election committee they will announce the list of panchayats voters. On the other hand, the Election Commission officials are ready. The new law notification will be issued and there is no way to arrange the arrangements unless the gazette comes. There are only three months for the elections to be held by July 31. One of the Panchayati Raja's officials suggested that the new law is coming into force and the electoral processes cannot be done. The staff are also low and the number of panchayats has increased and it is also likely to cause some delay. It has been reported that the government has decided to bring the law into force. The authorities do not even know when they will come into force. The Chief Minister made it clear that in the recent Budget session, the election will be held on the debate on the new Panchayati Raj Act. Conditions seem to be different. The number of panchayats increased significantly to 12,751. Villages affiliated with old panchayats have become some new panchayats. The ruling Panchayats' Administration is due to end on July 31 this year. According to the constitution, the new ruling party should be reconstituted on August 1. Under the terms of the rule, the election must be held in due time. If anybody goes to court and stays with the court, the election will be postponed and appoint special officers for the panchayats. The Election Commission officials said that the polls could not be held after the deadline. But for the moment, nothing has happened. So take the time off. Panchayat Raj and new hordes to make arrangements for this. There are no wards to look at old calculations, such as wards, reservation, polling stations and polling equipment. All the affairs will have to do something new this time. We are looking forward to the law as soon as possible, and it is delayed, even if it is delayed, as the election arrangements are delayed. 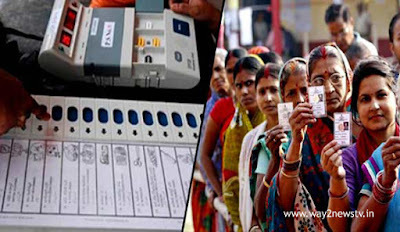 According to the preliminary information available, the State Election Commission has initiated preparations for the panchayat elections with the same ballot box. As of now, there are 1,13,270 wards. Maintain simultaneously with 1,13,270 ballot boxes, plus another 15,000 ballot boxes. The state currently has 25,000 ballot boxes. 40 thousand from Karnataka and 33 thousand ballot boxes from Maharashtra. The Election Commission has allotted 98,000 ballot boxes. The Election Commission hopes to hold panchayat elections in two or three times.